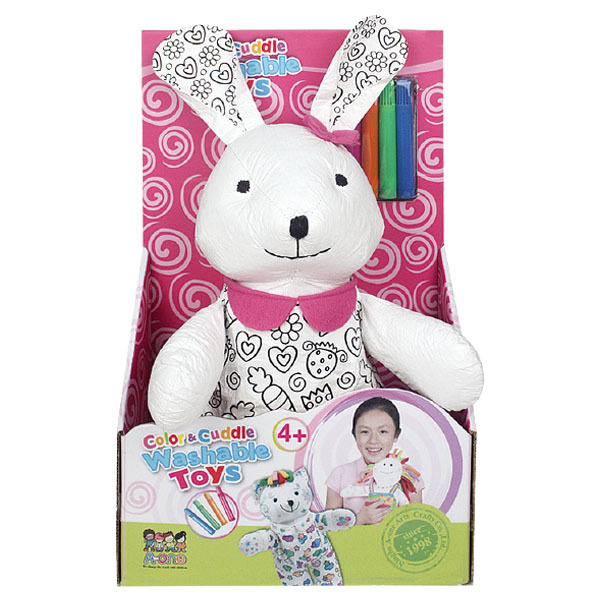 Color and Cuddle Washable Bunny gives you a whole new toy whenever you want one. Color it today, wash it tonight, color it into something completely different tomorrow! Have your bunny match your outfit, your pajamas or even your mood.